Wave Malls are undeniably one of India's finest shopping destinations, with cutting edge infrastructure, technology and management. They are one-stop entertainment, food and shopping destinations. Wave Group is a pioneer in developing shopping malls in North India. Wave Malls in Noida, Kaushambi, Lucknow, Moradabad, Ludhiana and Jammu are testaments to its successful track record. 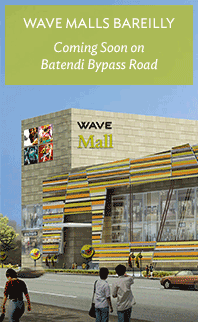 Wave Group plans to further entrench its presence with new malls in Bareilly and Meerut. © 2014 Wave Estate. All rights reserved.